This blog developed out of a profound love of Mexico and a sadness about how it is currently portrayed in the worldâ€™s media. 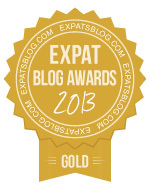 ExpatsBlog.com Expat Blog Awards 2013: Mexico Gold Award! 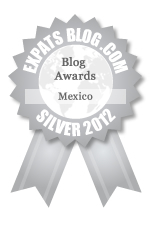 ExpatsBlog.com Expat Blog Awards 2012: Mexico Silver Award! This blog won the Silver Award for best expat blog in Mexico! Excellent website on Mexico with a dash of the unique, the unusual and the artistic. Insightful and interesting, a well done effort by Susannah. Blog on! I absolutely love this blog. Factual, insightful, a bit quirky, and a pleasure to read every time. Susannah, you are a wonderful writer! Keep it up! The thing I love about Mexico Retold is that it constantly reminds me of how beautiful this country is but it does so by reminding me of how great and how amazing all the little things are. And it's those "minor" things that always end up bringing a smile to my face. Thank you! Keep on writing! Mexico Retold is such a vibrant blog full of excitement and joy. I recommend all those who keep saying to me "Mexico isn't that a really dangerous place" to read this blog regularly to feel the joy and visit Mexico as soon as you can to see how wonderful it is for yourself. A wonderful, colorful & inspiring outlook on a country too often bashed and dismissed by the media and the people living just minutes north of the boarder. The great articles, beautiful photography & underlying passion behind this blog keep me coming back for more! Entertaining and insightful a great opportunity to get some insight into amazing and complex Mexico. Mexico Retold is home to very relevant information, interesting articles and does an incredible job of sharing stories about Mexico that matter. I love the writing style and choice of stories, they always draws me in. Mexico Retold (I also love the name!) always reminds me of why I love Mexico, never a dull post, can't get enough of it! Awesome work, Susannah! I love this blog! It's one of the places I go to get my Mexico fix. Susannah's love of and care for Mexico is clear. Mexico is beautiful but complex, and through her writing Susannah does a great job shining a light on the beauty and complexity. Thank you! I love Mexico Retold! It's a lovely telling/retelling of what I recognize and identify in my own experience in Mexico. It is where I send those coming to visit or curious about life in this colorful and vivid country. I recommend it with my whole heart! This blog teaches even experts on Mexico about the country's beauty, culture, and tradition. This is so important at a time when Mexico is talked about so negatively in terms of the drug war and illegal immigration. I love this blog. I knew very little about Mexico before and this is very interesting, informative and always brightens my day. Susannah's writing style is wonderful and always leaves me wanting to know more. A brilliant blend of mexican current affairs and cultural (often wonderful and spectacularly beautiful) nuggets, that if it weren't for Susannah's interest in the heart and soul of Mexico and the dedication to sharing it through this fantastic blog, I would not have had the pleasure of knowing. Keep up the great work! This blog is truly something to be proud of. Wonderful blog! It always draws me in and makes me want for the next little slice of Mexico retold. Thank you! No better person to help capture the wonders of Mexico and bring it to the world than Susannah. She has put together a great blog. Congrats! What a wonderful blog to whisk past the popular knowledge of Mexico and onto the many flavors that make it such a special place. Fantastic and totally enjoyable blot Susannah. You can taste, smell, hear, feel Mexico through your words. I have visited Mexico 6 times and have always wanted to move to live in Mexico. Your blog and advice has made up my mind. Now I just need to decide where.